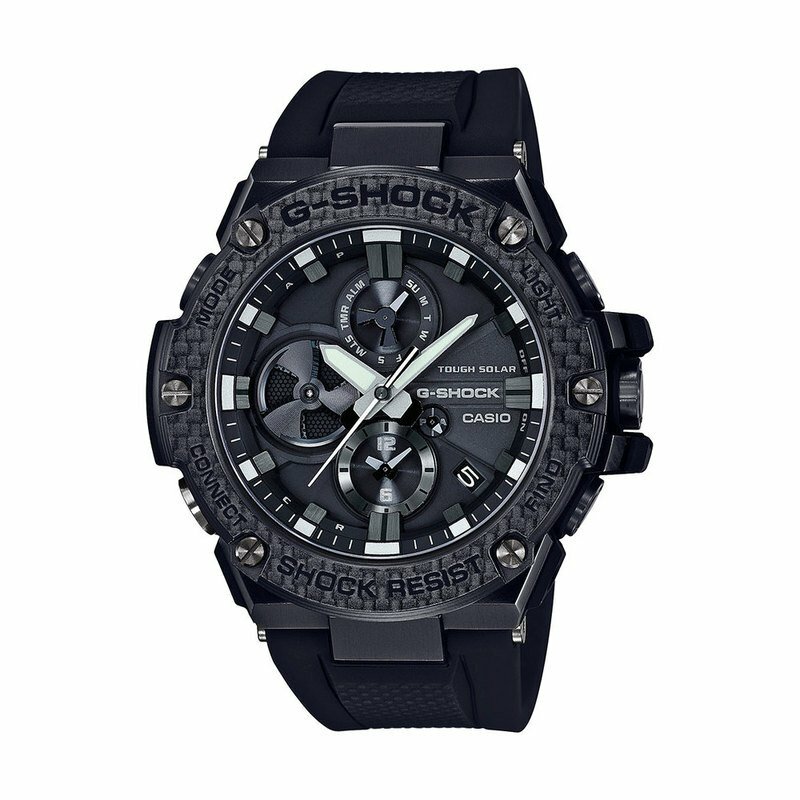 This G-STEEL connected watch has a carbon bezel that is the product of state-of-the-art materials and innovative technology. The bezel of this model has a highly fashionable design, and is made of lightweight yet very rigid carbon material. Bluetooth® that lets it connect with a smartphone at the press of a button, and acquire time information from an internet time server.